Life isn’t about getting and having, it’s about giving and being. Rihanna, a name very popular in the world music industry symbolizes talent coupled with sheer dedication to passion. She is known for her striking personality and deep voice that moves millions. Robyn Rihanna Fenty was born in the year 1988 in Barbados. 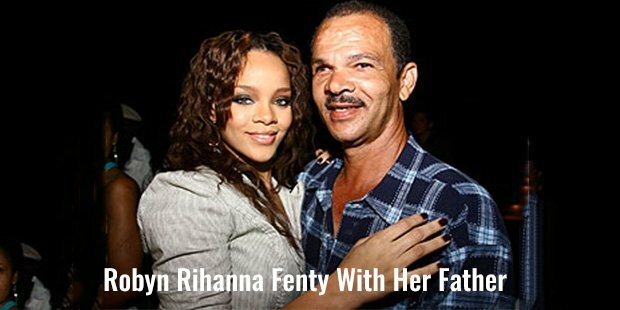 She is the oldest daughter of three children born to Monica Fenty, an accountant by profession, and Ronald Fenty, a warehouse supervisor. When she was just 14 years when her parents were divorced.Rihanna also struggled with crippling headaches for several years during her childhood. Rihanna attended high school and loved to sing together for fun with her friends. It all began to change drastically after she was introduced to Evan Rogers, a music producer in New York City. Rogers and his Barbadian wife Jackie happened to be in Barbados to spend their 2003 Christmas vacation. Rogers was impressed with her amazing voice and offered Rihanna to record some tracks in New York by spring. 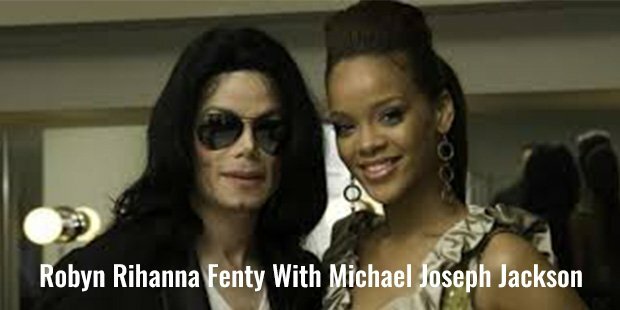 Together with Rogers and his partner Carl Sturken, Rihanna composed almost a dozen songs. She started looking for a leading label that will buy her music. Rihanna landed her feet at Def Jam Recordings in which Shawn Carter, popularly known as Jay-Z was the president as well as CEO. After witnessing Rihanna’s performance, the acclaimed rapper immediately offered a recording contract. She then set out to collect materials for her debut album, getting into co-writing for most of the tracks. Titled, "Pon De Replay", the song was eventually was released in the year 2005. Rihanna achieved a lot of success and pinned her hopes to repeat the same attainment with her debut album, Music of the Sun. The album was launched in the year 2005. This was a dream come true for Rihanna, who never expected getting successful at such a young age. But she did it with lots of hard work and determination.Rihanna sold more than 50 million albums and 190 million singles worldwide, making her one of the best-selling artists of all time. Many of her songs rank among the world's best-selling singles lists of all time, such as "Umbrella", "Take a Bow" and “Disturbia". She also collaborated with a number of artists. She achieved lot of awards and accolades for her work that include seven Grammy Awards, eight American Music Awards, 22 Billboard Music Awards, and two BRIT Awards. Billboard conferred her with the title Digitak Songs Artist of the 2000 Decade. At the peak of her success, tragedy struck Rihanna's personal life. On the eve of Grammy Awards, she was supposed to perform at the 51st Grammy Awards; Rihanna got into a physical altercation with her then-boyfriend Chris Brown. The news quickly spread far and wide as Rihanna and Brown's romance had been under a close spotlight throughout the year. Rihanna is known for frequently reinventing her style and image, most notably since her song Good Girl Gone Bad. In 2012, Forbes ranked her the fourth most powerful celebrity of the year, with earnings of $53 million. Time magazine named Rihanna as one of the 100 Most Influential People in the World. She received the first ever Icon Award. In the year 2014, Rihanna received the Fashion Icon lifetime achievement award from the Council of Fashion Designers of America. Rihanna’s story is not just about success. It is also about standing tall in the midst of adversities that follow success. The way the music Diva battled her personal trauma and rose high is a great inspiration for many.